Now Available!!! Don't Miss This Opportunity!!! 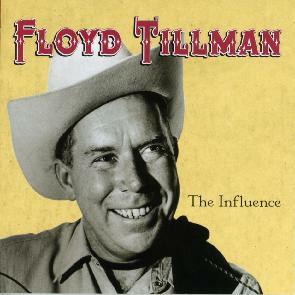 The long awaited Floyd Tillman Tribute album can now be ordered through the Floyd Tillman Website. This CD is $13.95 postage paid. This is Floyd's final album as he is joined on his biggest hits with some of his biggest fans. At 87 years of age, Floyd delivered superb vocals along with six other members of the Country Music Hall of Fame-George Jones, Dolly Parton, Ray Price, Hank Thompson, Willie Nelson and Merle Haggard. You will also enjoy Floyd's tracks with legendary artists such as Frankie Miller, Johnny Bush, Connie Smith, Leona Williams, Lawton Williams and Darrell McCall. Johnny Gimble lends his great fiddle and mandolin talents to this historic project produced by Justin Trevino. The other musicians include Dave Kirby, Bobby Flores, Floyd Domino, Dicky Overby, Levi Mullen, John Smiley Reynolds with hamony vocals by Leona Williams, Justin Trevino and Frankie Miller. Order your copy today for only $13.95 ! Or mail your order to Heart of Texas Records 1701 South Bridge Street Brady, Tx 76825. Your $13.95 includes shipping and handling! The above photos are from the various Floyd Tillman recording sessions. 1. Floyd with his son Larry at the first session in San Marcos, Texas 2. George Jones recording "Driving Nails In My Coffin" 3. Ann and Hank Thompson with producer Justin Trevino 4. Floyd Tillman, Tracy Pitcox and Big Bill Lister in one of Floyd's last personal appearances in San Antonio, Texas 5. Floyd and his long time friend Hank Thompson 6. Floyd listening to the playback of some of his session work at his home in Marble Falls, Texas.